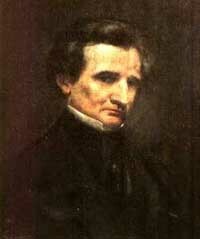 The great 19th century French composer Hector Berlioz holds a unique place in musical history. Far ahead of his time, he was one of the most original of great composers, but also an innovator as a practical musician, and a writer and critic whose literary achievement is hardly less significant than his musical output. Few musicians have ever excelled in all these different fields at once. Available in English and French, this personal site is devoted to the music, life and works of this great figure. Created, funded and authored by two British academics, the site gives a panoramic view of Berlioz’s life and art, and seeks to recreate the context in which he worked. It also presents regularly updated news on everything which concerns Berlioz: performances of his music world-wide, bibliography, discography, reviews of live performances and contributions from regular visitors to the site. The table below maps out the contents of the site in detail. A separate page provides a short history of the site. Please note that our site is entirely independent and does not represent or host any organisation or association. Copyright notice: The Hector Berlioz Website is owned by Michel Austin and Monir Tayeb. The texts, photos, images and musical scores on all pages of this site are covered by UK Law and International Law. All rights of publication, reproduction, or adaptation of this material in any form, including Web page use, are reserved. Their use without our explicit permission is illegal. All the articles published by Berlioz, under the title of “Mémoires d’un musicien”, for Le Monde Illustré in 1858 and 1859 are now available on this site. Contains the transcription of all the articles that Berlioz wrote for this journal from 1834 to 1863 (nearly 400 in all). This page contains all the Berlioziana and other articles on Berlioz published by Tiersot in Le Ménestrel between 1904 and 1911 (127 in all). We would like to invite you to contact us and tell us about events, news, publications, concerts or any other information related to Hector Berlioz in your community, so that we can circulate them among Berlioz admirers around the world via this site. May we take this opportunity to thank our visitors who have emailed us their contributions, comments, and feedback. They have all been thanked individually on the site as well via their email address. This personal site is the result of a private initiative by the husband and wife team of Michel Austin and Monir Tayeb. We are both academics by profession, based in universities in Scotland, and share a common enthusiasm for Hector Berlioz and his achievements. Created in July 1997, and gradually expanded subsequently, the site is entirely devoted to the genius of Berlioz – his music, his writings, his career in France and abroad, and his contribution to musical history. The site is entirely independent of any organisation; it is run and maintained by us at our own expense. It is non-profit-making, does not receive sponsorship or financial support from any quarter, and does not accept any commercial advertising. Through this site we hope to share and exchange information and news on Berlioz-related events with Berlioz’s admirers around the world. We are most grateful to our friends and visitors for their support and look forward to enjoying their continued encouragement in the future. We would particularly like to thank our friends Pepijn van Doesburg, Pierre-René Serna and Christian Wasselin for their major contributions to the site. The Hector Berlioz Website was created by Monir Tayeb and Michel Austin on 18 July 1997. The French version of the Home Page (Page d’accueil) was created on 3 March 2002. See also Online Site History.